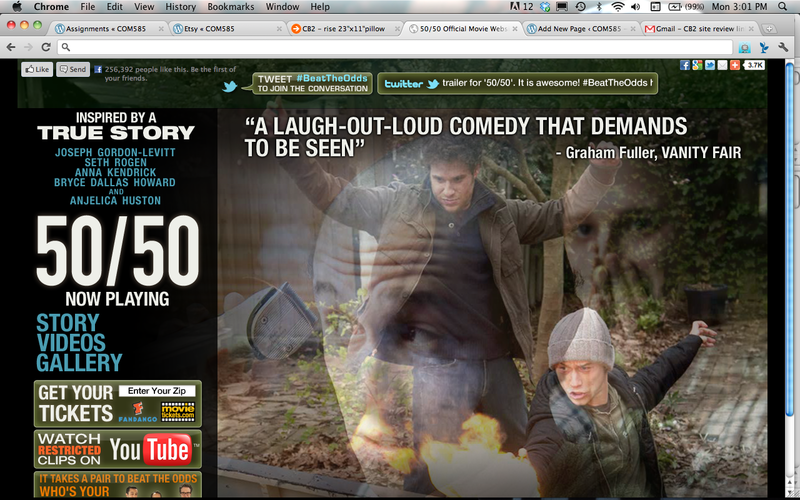 Official site for the movie 50/50. Promotion of a Seattle based movie inspired by the true story of a cancer patient whose close friend does everything possible to keep him positive. The site uses dynamic imagery and compelling clips along with testimonials from critics and entertainment reviewers. Eye-catching use and placement of film clips embedded in a colorful array of backdrops with floating critique. Navigation allows user to view clips, preview the story and see behind-the-scene images as well as linking to social media. Audience: Fans of feel-good comedies whose main character faces major life challenges. Ages could range from young adults and higher. Business/Site goals: To promote the movie and increase sales by enticing viewers to go to the theater. 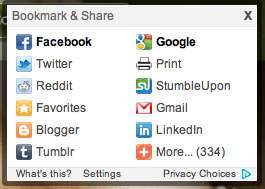 Users can share directly to Facebook, Twitter, Google, and go to YouTube directly from the homepage.